There are occasions when a client will come in wanting a specific detail or flower added to their bridal bouquet but think they can’t afford it because “those are really expensive, right?”. Since that statement is really relative, let’s go through a couple of bouquet upgrades and see just how affordable bouquet upgrades can be. 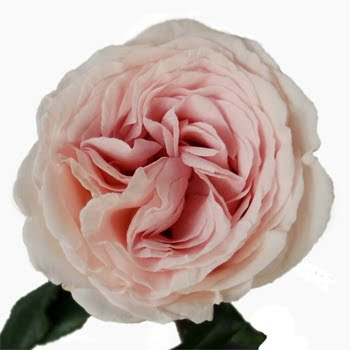 Garden roses are a variety of rose that open up in a nice, lush, petal-y showing. They are becoming very popular with a lot of brides that have romantic or vintage-styled weddings. They run about 3 times as much as a regular rose, sometimes more or less depending on the color. 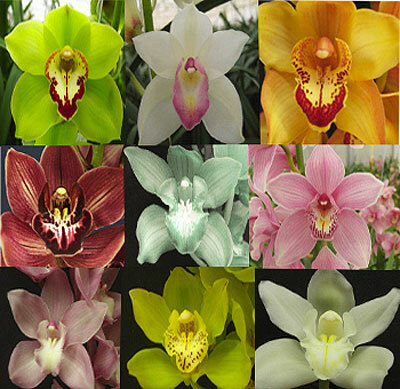 This type of orchid, the cymbidium, comes in a variety of colors. They are one of the larger-bloomed types of orchids. They can cost about 2-3 times as much as a rose, but are that much larger than a rose as well. Mini calla lilies are also becoming more popular as mixed bouquet flowers. The style shown here is more clean and contemporary, but they can be added to more lush, textural bouquets for another interesting element. They also exceed the price of a rose by 3 times, but really do come in some amazing colors. All three of these flower options can get a little price-y if used alone in a bouquet. But as an upgrade to a mixed bouquet, none of them are too outrageous. Adding 5-6 large blooms of garden roses to a bouquet add about $65-85 in our St. Louis market. 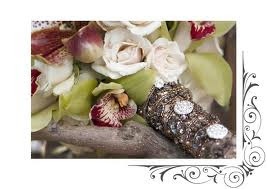 Accenting a bouquet with 6-7 cymbidium orchids blooms adds approximately $55-75. Including 10 stems of colored calla lilies will add about $125-150 to a design. All of these blooms can really become the focal point of the bouquet, even if they are outnumbered by other complimentary flowers. Your floral design team can make suggestions on how to incorporate your favorites—just don’t be afraid to ask because you are sure they are too expensive. Another non-flower way to upgrade your bouquet is with a beautiful stem wrap finish. 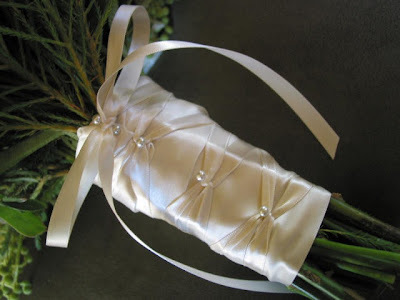 The most common way to finish the stems on a hand-tied bouquet is to wrap them in satin or other fabric. 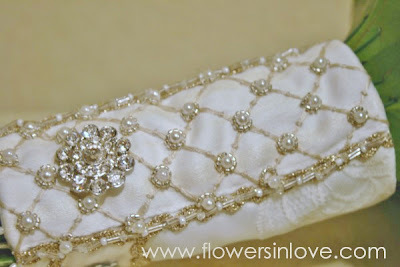 Now, it’s becoming more fashionable to make the wrap more elaborate and personal to the bride’s own style. Sometimes, brooches or pins are added to a wrap. Full rhinestone or pearl wraps are also becoming popular. Other embellishments, like wire or antique lace, can also be used to add an extra special touch to any bouquet. Fancy stem finishes can range in price depending on what the added element will be and if the client or the florist is providing the embellishment. A general range for our St. Louis market would be $20-75+ for a custom stem wrap finish. 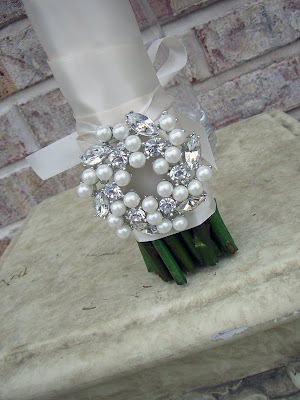 In the grand scheme of the whole wedding budget, this is an addition that can be well worth the cost for a customized and upgraded bouquet for the bride. So many possibilities are available when designing bridal bouquets. If there is a flower or embellishment upgrade that you are interested in, always ask your flower design team. The addition of this unique element may not be as costly as you think and may be the key to making your bouquet just what you always wanted for your special day.